Brussels – One Billion Hungry: Can We Feed the World? On 4th of March 2013, the 30th edition of the Brussels Development Briefing took place, the topic being “Agricultural resilience in the face of crisis and shocks”. Organized by CTA in collaboration with the African, Caribbean and Pacific Group of States (ACP) Secretariat, the EC/DEVCO, Concord, and the International Food Policy Research Institute (IFPRI), and hosted by the European Economic and Social Committee (EESC), in Brussels, international experts and agriculturalists, including Gordon Conway discussed the concept of resilience and proven approaches to achieving it. The keynote speaker, Dr. Akinwumi Adesina, Honourable Minister of Agriculture of Nigeria, outlined his plans for increasing resilience and boosting agricultural productivity. He began by reminding us how susceptible we all are to the forces of nature be they climate, health, market or environment related. Food security is a key component of ensuring humans, households and systems are resilient to the impact of stresses and shocks. Nigeria, in order to build resilience and tackle food insecurity through raising agricultural productivity and food production, launched the Agricultural Transformation Agenda in 2012. The overall goals are to add 20 Million tons (Mt) of food to the domestic food supply by 2015; to create 3.5 million jobs and to become a net exporter of food. 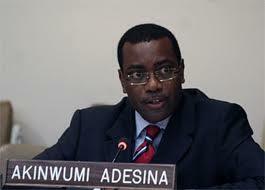 Dr Adesina outlined six policy areas for improving resilience. 1) Access to affordable inputs. Nigeria launched a database of farmers for the country, registering 4.2 million farmers in 2012 and hoping to expand to 10 million this year. The aim is to know the country’s farmers better in order to target policies to support them.